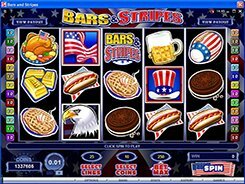 The Bars and Stripes 5-reel 25-payline slot will make you feel as if living the American dream since all the slot icons revolve around the USA and its national symbols. You will come across the Star-Spangled Banner, a hot dog, rugby ball, bald eagle, Thanksgiving turkey, mug of beer, apple pie and other icons that relate to the American theme, many of which are adorned with stars and stripes. 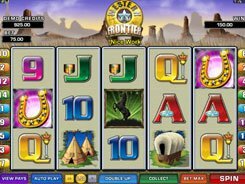 Before you start spinning the reels, make a bet placing up to 10 coins per line. 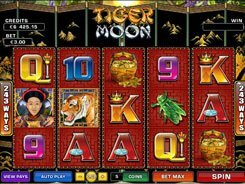 Adjust the coin size from $0.01 to $1 to suit your available bankroll. 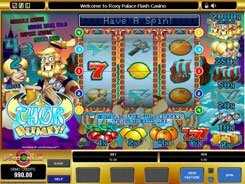 Then, push the Spin button to set the reels in motion. The Bars & Stripes logo is a wild symbol acting as a substitute for other symbols. 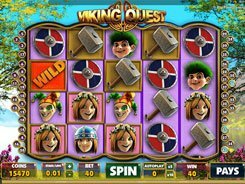 Besides, a wild multiplies payouts by x2 when completing a winning combo. The rugby ball covered with stars and stripes is a scatter symbol that awards scattered wins if 3 or more balls land anywhere on the reels. Three to five Top Hat symbols trigger a bonus feature where you should pick up 3 of 5 bonus hats. 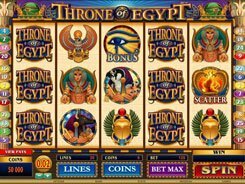 All winnings collected during the bonus feature will be added to your total balance automatically after the bonus round has finished.